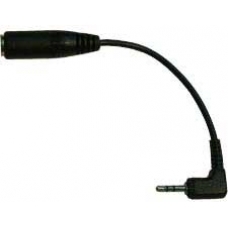 The 2.5mm to 3.5mm adaptor allows you to easily use normal 3.5mm headphones with the hw6900 range of iPAQ units. Once inserted into the units 2.5mm headphone socket you can easily plug in your favourite standard 3.5mm jack audio headphones. * HP Part Number: 342357-001. * SPS Part Number: 342295-001.